Printers can last really long and serve you well if you take good care of them. So I thought I’d share some essential tips to help you maintain your printer with ease, ensure trouble free operation and enjoy consistent prints. Keep your printer clean – Be sure to clean the printer regularly inside-out and close the paper feed trays when not in use. Keep it covered – When not in use, cover the whole printer unit with a cloth or a plastic cover. Turn it off – When the printer is not in use, press the Power button on the printer to shut it down and turn off the mains. 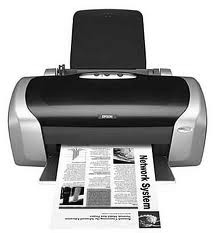 Use it frequently – Use your printer at least once every two weeks to ensure that it is in a proper working condition. Maintenance Mode – Every printer features a maintenance mode that self checks the entire unit to make sure everything is working well. So carry out the printer maintenance every 1 or 2 months. Avoid cheap or refilled ink cartridges and toners – Not only can they be messy, but they also stand to affect the printer’s performance and the quality of your prints. Always use original cartridges as recommended by the manufacturer. Avoid cheap paper – Using cheap, low quality papers with your printer can affect the print quality and cause paper jams. Manufacturers generally specify the type of paper you need to use. Check the paper – Try not to use papers that are bent, folded, torn or previously used, as they will affect the final print output. Always store papers in a low humidity environment. Refer to the manual – Printers generally vary in terms of functionality, operation and maintenance across different manufacturers. So always refer to your printer’s user manual or service manual to see what is recommend for your printer. Replacing cartridges and handling – As printers get smaller and more functional, they use the latest technologies and electronics to keep them going. So when you need to replace the cartridges or check something inside the printer, make sure you are as a gentle as possible, so as to not affect any components inside the unit or use excessive force during this process. Keep your Printer Drivers and Software updated – Driver and software updates often introduce fixes, improvements and other important changes. Therefore, installing the latest printer drivers and software from your printer manufacturer’s website will ensure that you get the most out of your printer. Got a question about your printer? Have more tips to share? Let us know in the comments section below!